The holiday season is a time that many of us take for granted. We’re able to spend the holidays surrounded by our friends and loved ones, laughing and telling stories as we exchange gifts and enjoy a special meal. 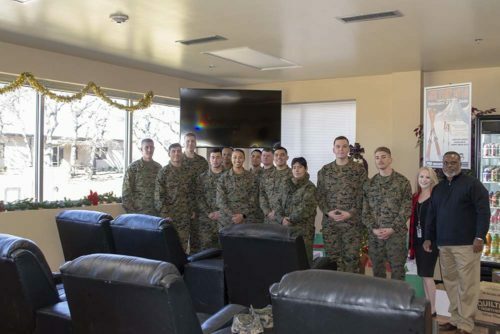 Continuing with a tradition that began in 2015, Colonial held our annual Holiday for the Troops drive. Once again, we were blown away by the support of our employees as they donated hundreds of items including holiday cards, cookies, chips, candy, toiletries, movies, games and so much more. Attack Squadron 112, or VMFA – 112. 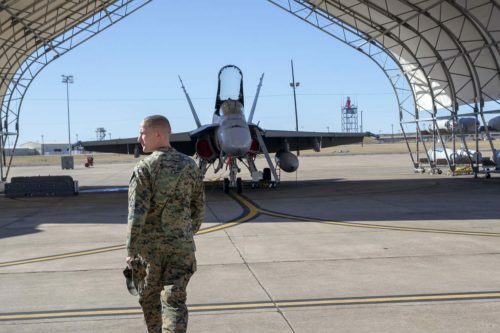 This group of brave men and women – nicknamed the Cowboys – are part of the United States Marine Corps F/A -18 Hornet squadron and is tasked with both maintaining and flying these aircraft for military use. 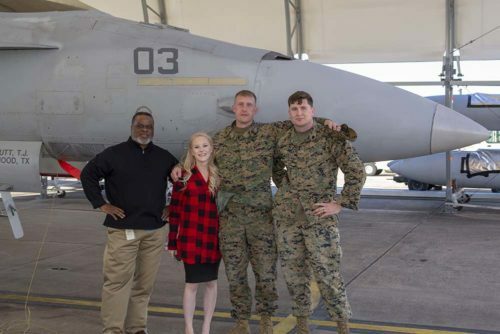 The idea to donate to this squadron came from Samantha Koppang, Servicing Administrator, whose husband previously served with the VMFA – 112.